The Street Road Google Glass Residency - Summer 2014 Street Road has an early release of Google Glass and after having some futuristic fun with them ourselves, we are now offering them to members of our community in and around Lancaster, Philadelphia, and Delaware for 3 week 'residencies' - from April through October 2014. We are looking for artists and creative types who will put these goggles to unusual use and also post regularly from Glass, giving us a view of the arts and culture scene in the wider Philly area. Applicants should be at least a little tech savvy, and should hail from the region, or should plan to remain in the region for the period of their 3 week term. 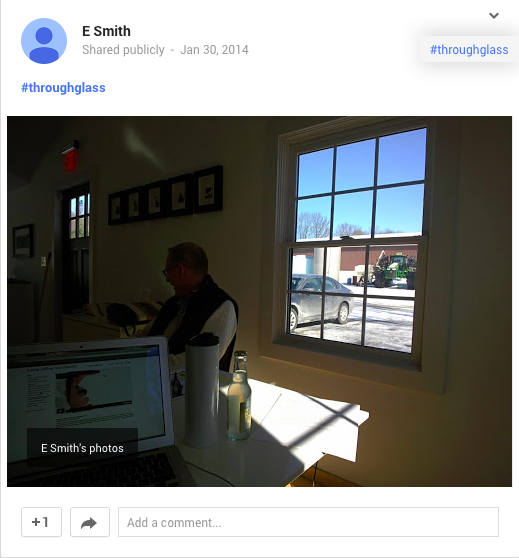 ﻿To apply for the Street Road Google Glass Residency, fill out the form below. In the comment section, in 500 words or less, please state your vision for the project. Please indicate your experience in the arts/creative fields and also your tech skills.